PSNews – Senior Lieutenant General To Lam, Minister of Public Security on November 27 received President of the Democratic Left Alliance Party of Poland and Senator Grzegorz Napieralski, who is on a working trip to Vietnam. 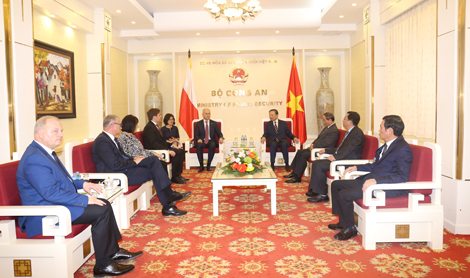 At the meeting, Minister To Lam emphasized that the traditional friendship and cooperation between Vietnam and Poland has continuously been strengthened and developed in the fields of politics, economics, trade, investment, culture and education. In addition, the good outcomes of bilateral cooperation between Vietnam’s Ministry of Public Security and the Polish law enforcement agencies contributed effectively to the fight against organized crimes, transnational crimes, drug-related crimes, hi-tech crimes and human trafficking in each country, thereby contributing to ensuring security and order of each country. Minister To Lam highly appreciated the support of the Polish General Department of Border Protection in training immigration officers of the Vietnam’s Ministry of Public Security. During the talks, the two sides agreed on measures to promote sharing of information and exchanges of experience and boost cooperation in the field of personnel training, so as to deepen the relations between law enforcement agencies of the two countries in particular and between the two Governments, and the two nations in general. In order to promote cooperation between the two sides in the fight against crimes, Minister To Lam suggested the two countries consider starting negotiations for the signing of an Agreement on Extradition, Agreement on the Transfer of Transfer of Sentenced Persons and Agreement on Mutual Legal Assistance, so as to create a solid and comprehensive legal corridor for the cooperation between the two sides in the increasingly complicated crime situation. He urged the two sides’ functional agencies to increase exchange of delegations at all levels in order to promote cooperation and sharing of experiences in prevention and fight against crimes. 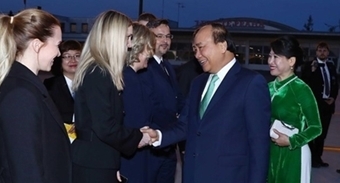 The Minister of Public Security of Vietnam also asked the two countries to work closely together to prevent any individuals and organizations from taking advantage of one country’s land to sabotage the other while enhancing security and safety for diplomatic representative agencies as well as trade, investment, economic and tourism activities and expats of one country in the other country. 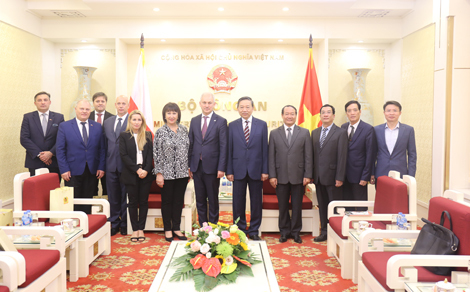 He hoped the Polish authorities would continue creating more favorable and stable conditions for the Vietnamese community in Poland, and to coordinate with Vietnam in multilateral forums and international organizations. For his part, Senator Grzegorz Napieralski thanked Minister To Lam for the warm reception. He vowed to do his best to expand cooperation between the Ministry of Public Security of Vietnam and the Polish law enforcement agencies, contributing to strengthening the traditional friendship between the two Governments and the two nations.